ashlee nicole spills | blog: Gucci Mane Covers XXL. 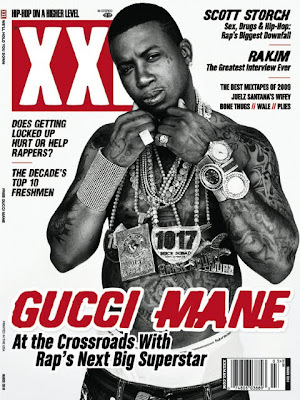 Look out for Gucci Mane on the March 2010 cover of XXL Magazine. In his interview, Gucci speaks out while behind bars. Also, check out Gucci's latest album, The State Vs. Radric Davis, in stores now.